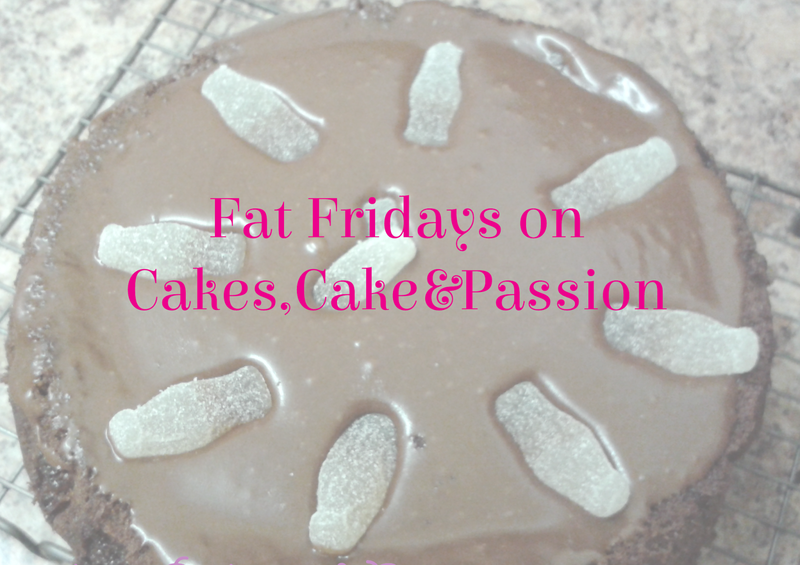 This weeks Fat Friday is quite special because its one of the first desserts that I've made in my pastry class. It will be need to be made at least the night before. Don't worry it sounds a little complex but it makes a good dinner party dessert. Its a twist on a traditional soufflé, its made with rice pudding rather than crème patisserie (but if you want a traditional recipe here it is from a couple of weeks back!) (sometimes called pastry cream). Its very impressive sounding and looking but easy to make. Its worth making the French spiced breadcrumbs and the rice pudding in advanced. 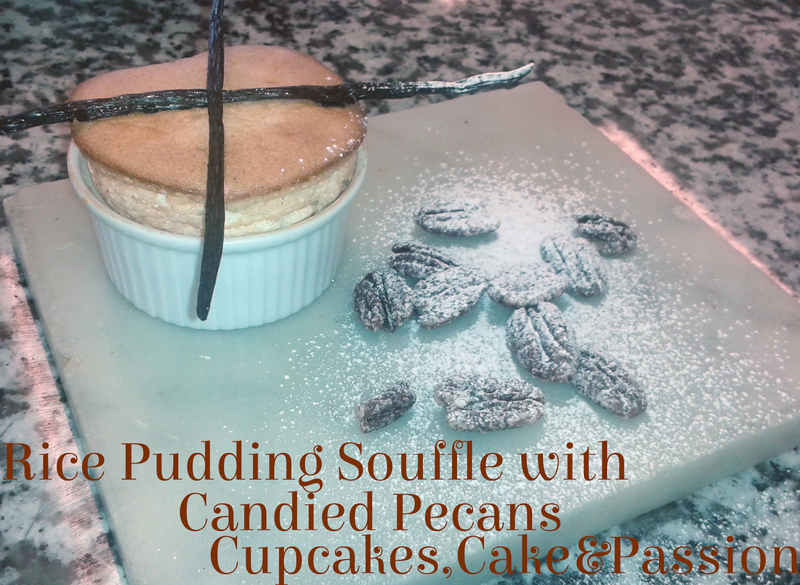 Serve with the candied pecans, for an additional crunch to the light and airy soufflé. 1. Roast the pecans on a baking sheet for about 1 minute. 2. Dissolve the sugar in water a pan and add warm pecans and mix until crystallize. 1. Pre-heat the oven to 170c fan/190c/375f/Gas Mark 5. 2. Melt the butter in a heavy based saucepan. Sauté the rice for about 30 seconds in the heavy based saucepan. 3. Add the milk, cream, sugar and bay leaves. Scrape the vanilla seeds and the pod into the pan. Bring to the boil and turn the heat down. Simmer for about 20 minutes stirring frequently. 4. Cover the top with foil and bake in the oven for 1 hour and 30 minutes, stopping every 15 minutes to stir the rice pudding. 5. The rice pudding should be thick and glutenous when done. Pick out the bay leaves and vanilla pods out of the pudding. 6. Transfer the pudding mixture to a blender and blend to a smooth puree. Place into bowl, cover with cling film and place in fridge to cool down. 1. Whisk 200g of egg white with 20g of sugar. Continue to whisk and gradually add the remaining sugar until the egg whites are very fluffy. 2. Place 250g pureed rice pudding into a bowl and carefully fold in the egg whites. 3. Divide the mixture into the prepared ramekins using a piping bag, level with a palette knife, then pinch the sides to create an even soufflé bake. 4. Bake at Gas Mark 4/350c/180c for 9 minutes, turning carefully once after 5 minutes they should be golden and very fluffy. What do you think about this new twist on a French classic? Have a great weekend!